Mandala of the Two Worlds (Ryōkai mandara), one of two hanging scrolls, Edo period (1693). Ink and colors on silk, 410.9 x 378.4 cm (each). Tōji Temple, Kyoto. Source: Sawa and Hamada (1983–1984, 24, 29). From “Sankei Mandara: Layered Maps to Sacred Places,” in this issue. Cross-Currents: East Asian History and Culture Review vol. 6, no. 2 opens with a section on cartography, echoing a theme published in vol. 6, no. 1 earlier this year. From Cartographic Anxieties in Mongolia: The Bogd Khan’s Picture-Map Uranchimeg Tsultemin. 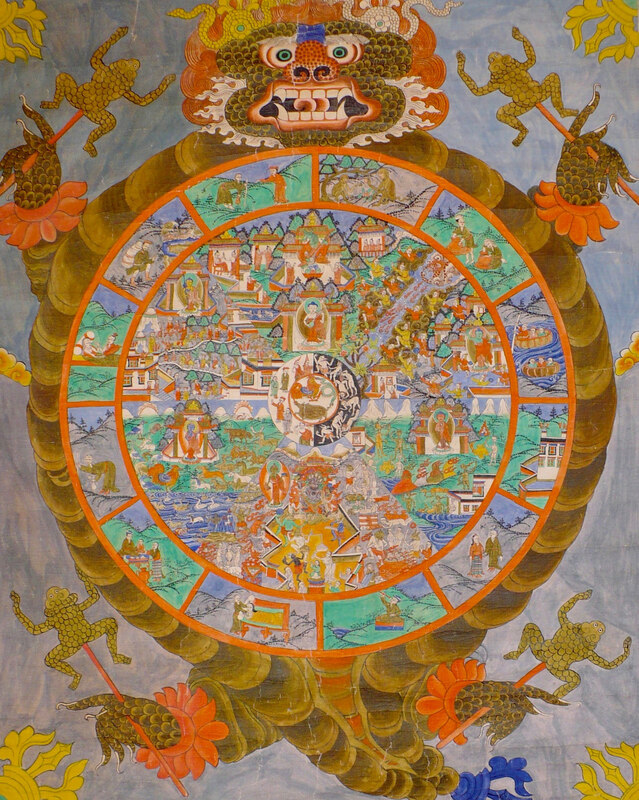 Bhavacakra, the Buddhist Wheel of Life. Thangka painting, Central Tibet, late nineteenth century. Source: Theos Bernard-Eleanor Murray collection, Berkeley Art Museum and Pacific Film Archive. 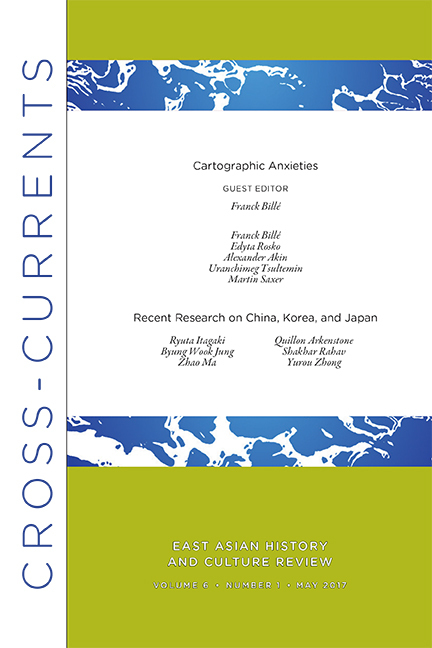 Cross-Currents: East Asian History and Culture Review volume 6, number 1 is now available and features the following articles. From “Guozhuang Trading Houses and Tibetan Middlemen in Dartsedo, the ‘Shanghai of Tibet'” in this issue. 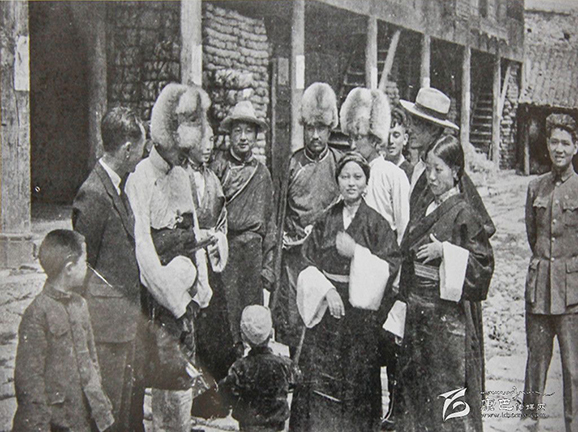 Photograph of Chu-nyi Barpa achak khapa (Ch. Qiujia guozhuang) taken by Sun Mingjing, 1944. Cross-Currents: East Asian History and Culture Review volume 5, number 2 is now available and features the following articles. Tiles from the proposed version of reformed mahjong mentioned in “The Game People Played” by Maggie Greene in this issue. From the right, tiles include government types, classes of citizens, countries, continents, oceans, and technology.